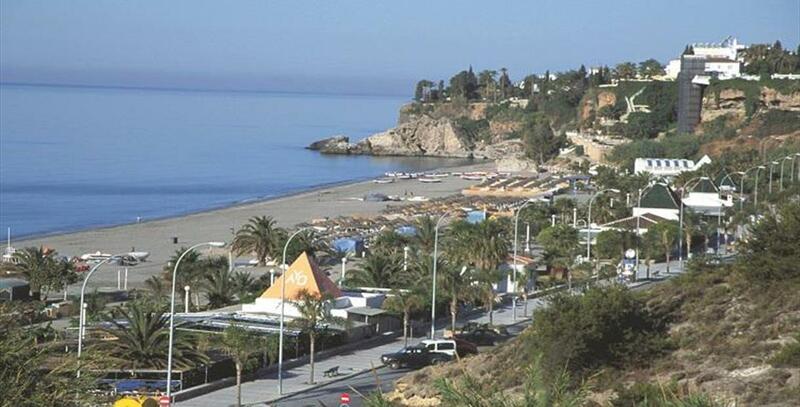 The Burriana Beach, in Nerja, is considered by many, as the best beach of the Malaga town. It has a length of 800 meters of fine and golden sand. In 2018 it received the quality recognition “Q”. Although with difficult access, it does not disappoint anyone when going down to the end of the street Philippines by a steep slope and one finds this magnificent landscape. Very popular with tourists for its known fame, it has a longest sea boulevard where you can find numerous and diverse shops, restaurants and bars. Its promenade called Antonio Merceroin, in honour of the producer of the popular television series of the 80s, Summer Blue, was shot in this town. 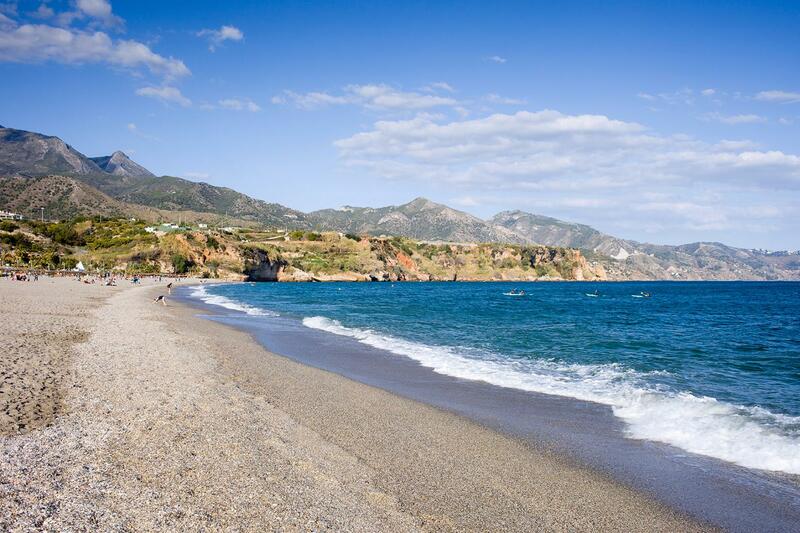 A beach with all services, with particular emphasis on water such as renting pedal boats, jet skis, kayaks and even a diving centre with which you can enjoy a fun, full day of summer. 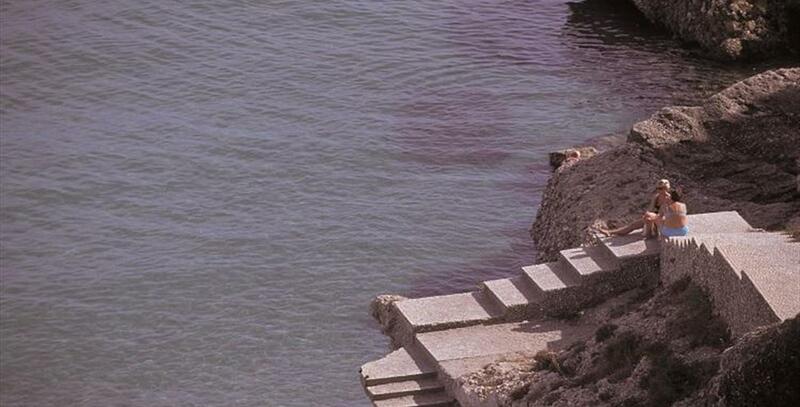 It is recommended to make routes in kayak to the nearest beaches such as La Caleta de Maro. A journey through the crystal clear waters in which you will visit some of the nearby caves, passing through small waterfalls falling from the cliffs. A different and spectacular sight not to be missed. A curious service having the beach library, where you can borrow a book to read while you enjoy your day, exclusively providing some type of identification. Books in different languages like English, German, French or Italian. You can donate your book when you finish your holiday. This service also exists on the beaches of Torrecilla and Salon.